Concrete is one of the latest trends in interior decor. Many designers are now using this material in unexpected and unusual ways. 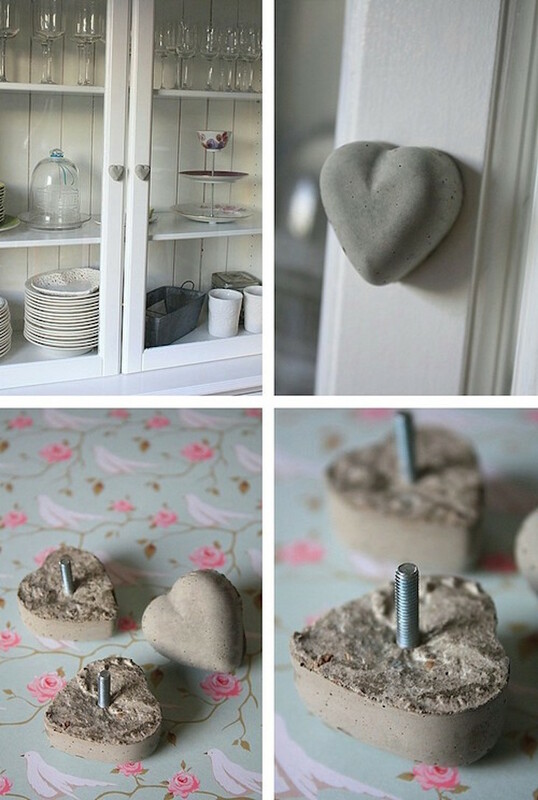 With some DIY skills you can also make anything from planters to lampshade out of concrete. It is such a fun material and it is easy to work with. Using concrete in your home decor you can create an elegant and modern look. Here are ten different projects to add a unique touch to your room, with these handmade concrete pieces. This stylish concrete pendant light would be a unique piece in any home. You will need a bag of concrete mix, some old plastic bottles and some DIY skills. Concrete is affordable, modern and fits perfectly in rustic homes. 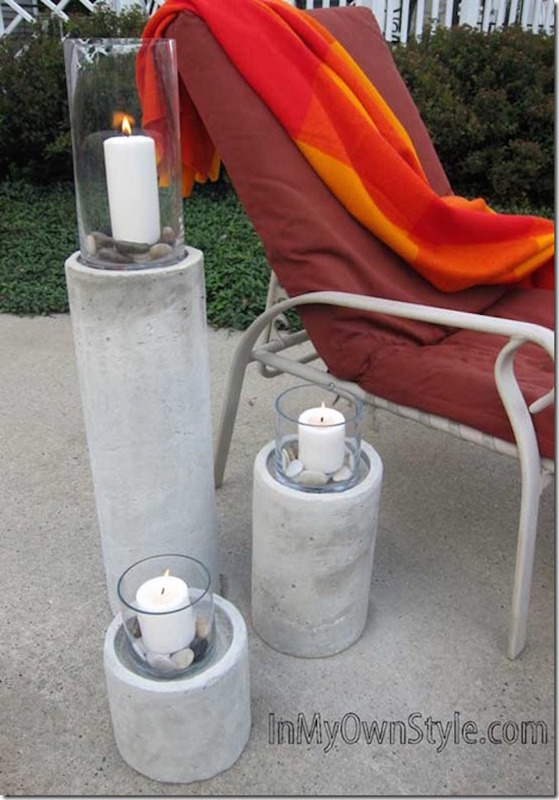 With this concrete fire column you can add some ambience for the chilly nights. Perfect on the balcony and in your living room or bedroom as well. Place a tall glass hurricane on the top, put some nice pebbles inside and large votive candles. 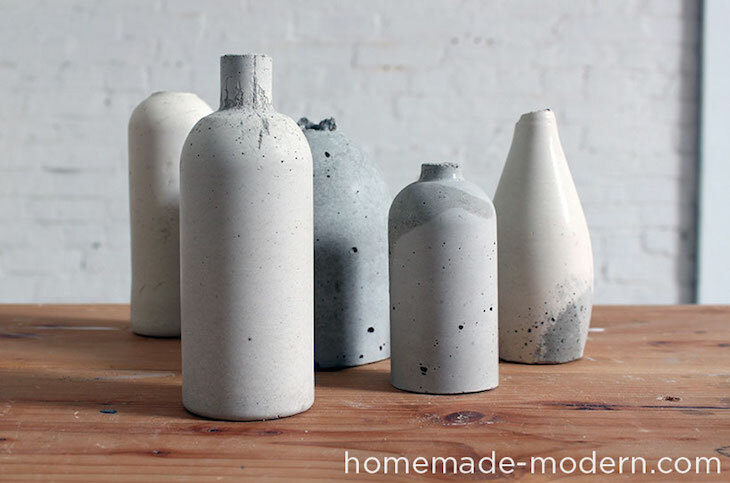 With just a bag of concrete mix and the contents of your recycling bin – plastic or glass bottles – you can create these beautiful vases. Make an entire set of them in different shapes and shades, to have a decorative centerpiece on your the side table. Would you have thought that you can actually make your own cheese board? With this fantastic tutorial you can create a unique board that all your guests will adore. You will need cement mix, a bucket for mixing and plastic mold in any shape you prefer. 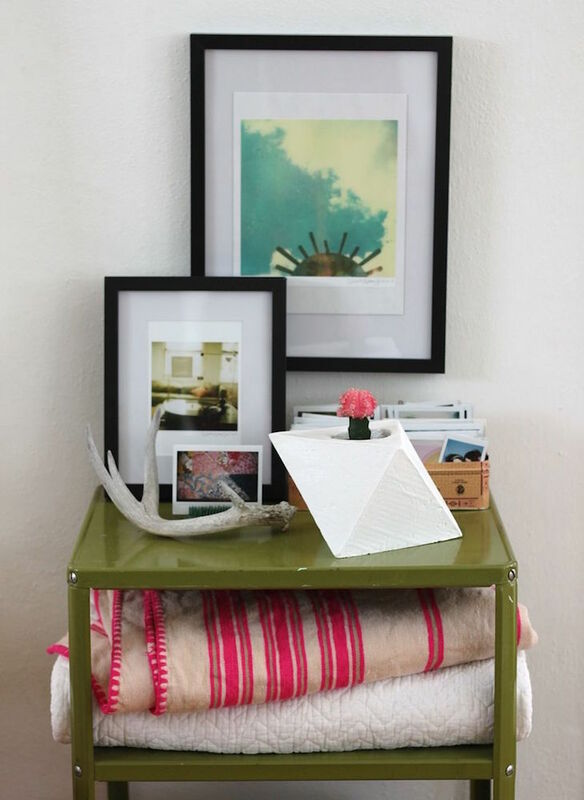 This is a super simple and fun project to make your cabinets and dresser more special. Mix some cement and fill up any suitable mold. You can use rubber ice tray or any other mold that you will not use afterwards. 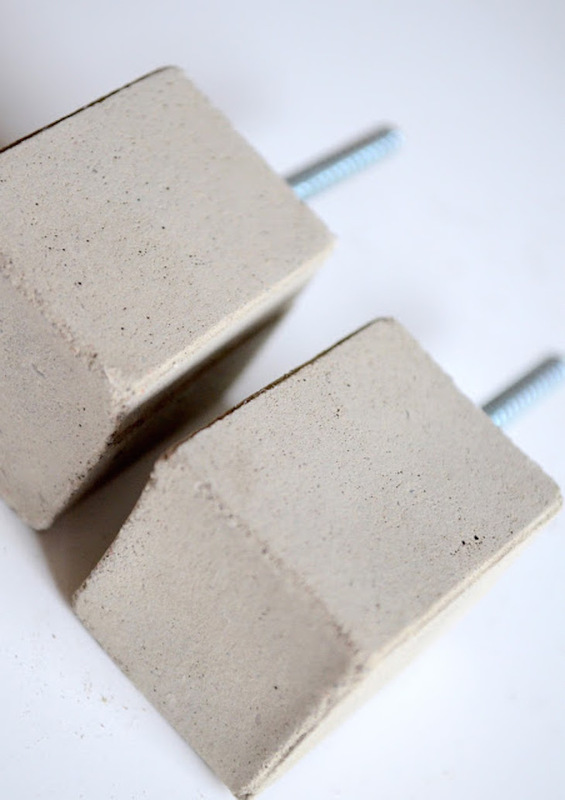 Before the cement sets, push down a screw, wait until it dries and remove them from the mold. 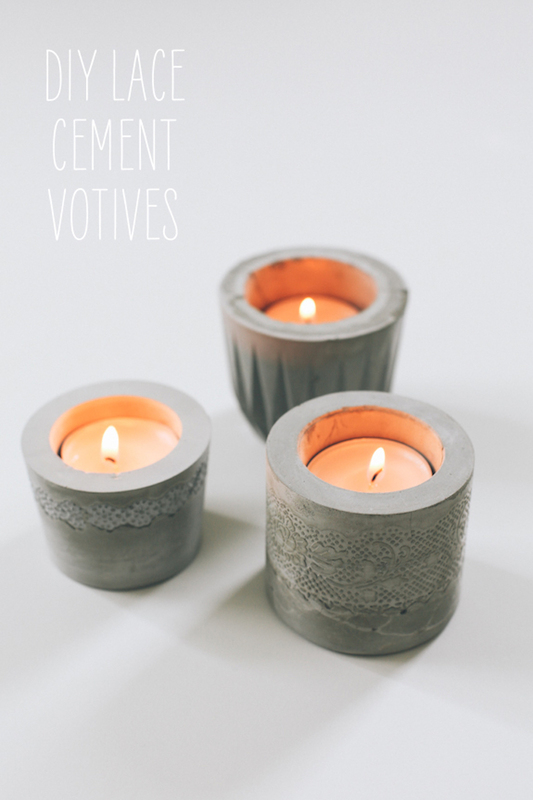 These beautiful laced cement votives will look beautiful on your dining table. Create more because they look really pretty clustered together. You will have to leave them sit 24 hours then you can cut/tear off the outer container to see what’s the outcome. You won’t be disappointed! 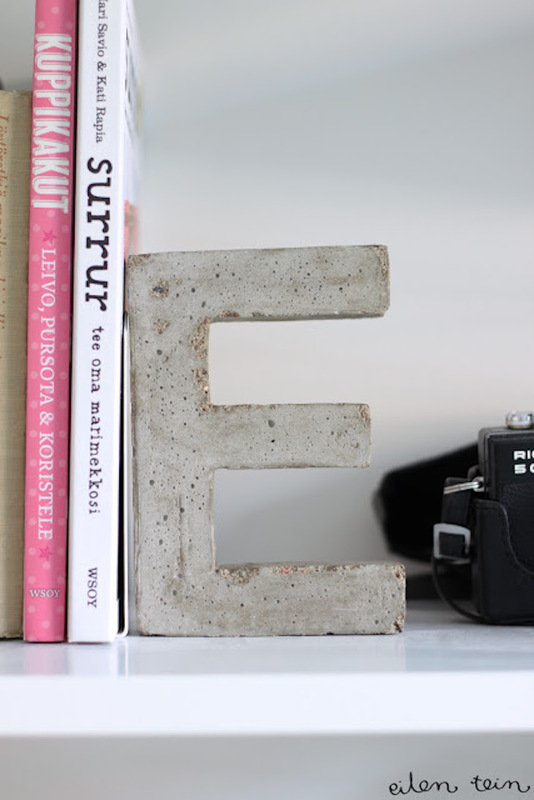 You can easily create these cool looking bookends for your shelves with some letter molds from the craft store and a small bag of cement. Similarly to the above examples you will have to leave it sit and make sure to keep the concrete damp for 1-2 days. Once it is solid you can cut the mold off and done. 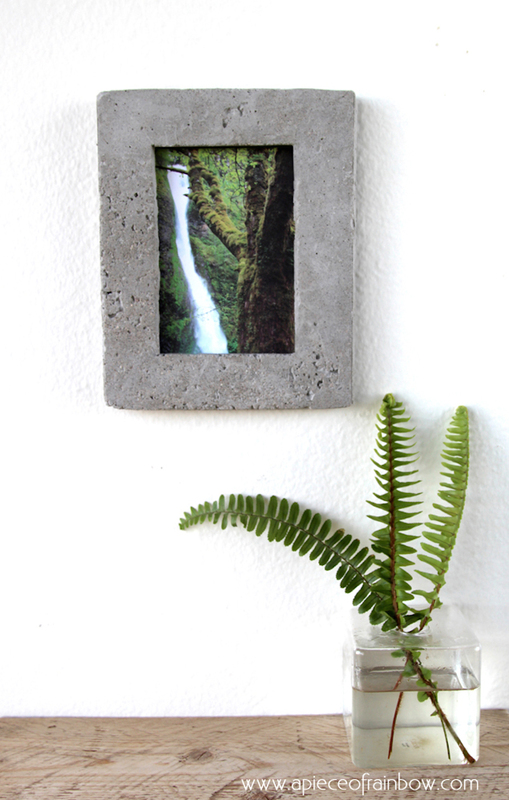 If you are bored with the usual wooden or plastic picture frames make your own unique concrete frame. You will be surprised how easy it is. Use concrete mix and some cardboard or cereal boxes to make molds and create your own design. Shape it to any form you want! 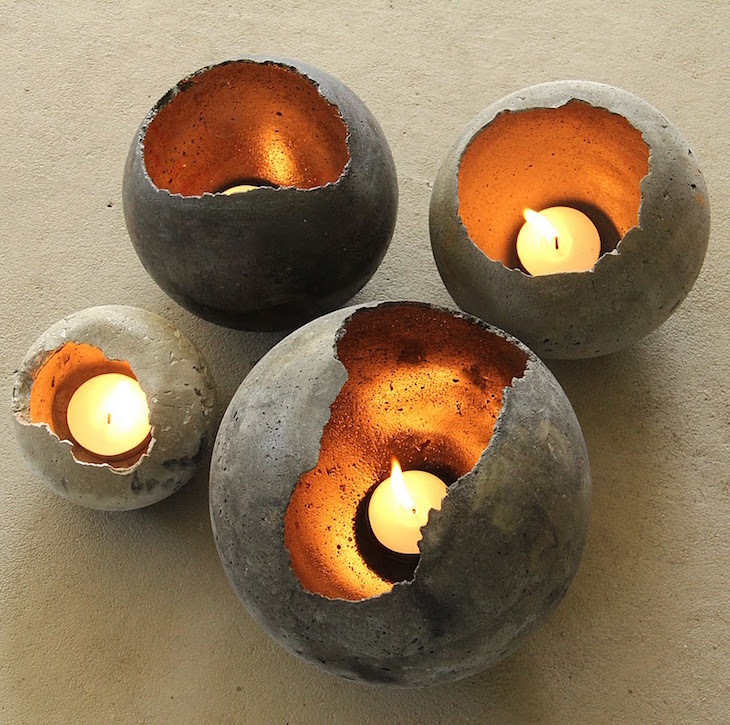 These beautiful concrete bowls are made by pouring concrete over balloons, thus creating an ethereal effect. Paint the inside with gold spray paint to make it even more special. They will make a wonderful display anywhere in your home. Make a mold out of cardboard, seal it with rubber spray then fill it with cement. Let it sit for at least 24 hours depending on the size of your mold and your very own geometric planter is ready. Cacti and succulents work best with this unique shape but you can experiment with other plants or even paint the planter in any color you want.